Congratulations on deciding to become a youth soccer coach! It may very well be the most rewarding activity you’ve done with your child in a long time. The classroom training for 10u and below is a two-hour session done in or around Ladera after working hours. 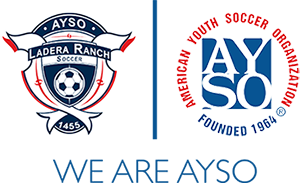 All online training is accessed through AYSO University using the same Blue Sombrero credentials you used to sign your child up for soccer. If you haven’t done that step yet, start here. Once you’ve signed up with Blue Sombrero, you can access training courses here. If you are new to the game of soccer, no problem! Start here! If you are already a USSF certified coach, please see the cross certification page here. Darrin has been coaching AYSO for over 5 years and is a certified Coach Instructor. He grew up playing competitive soccer and still plays today in the Ladera adult league. He serves on the AYSO Board as ARCA - Head of Coach Development and leads the Coach Mentoring program for the region. He currently has 4 children playing in AYSO, 3 in EXTRA. Should You Take the Referee Course?